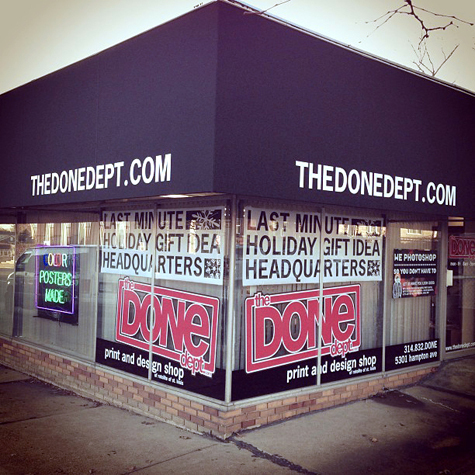 HOLIDAY MADNESS AT THE DONE DEPT.. I personally find that the best gift to give someone who has everything, is a custom gift. I’ve made my family and friends shirts, posters (collages, embarrassing photo blowups, funny photoshop jobs), greeting cards, and even custom gift wrap. We are equipped here to print out just about anything that you guys might dream up for a friend or family member this holiday season, so stop on in Monday thru Friday, 9am – 5pm! No appointment necessary! Note: We will be closed on Christmas Eve!